Are you looking for the best chainsaw that provides equal parts versatility, durability and high performance? A good saw is light and affordable without compromising raw power. Electric models can run on batteries when you need to cut workpieces away from a power source, but you will need powerful cable models for heavier tasks. A gasoline chainsaw is much noisier but can cut deeper and faster. However, these models require regular maintenance in addition to constant refueling. Chainsaws have several features that make cutting easier and safer. These include brakes, anti-vibration system and chain tensioner. A chainsaw is an indispensable tool in everyday life, especially in the winter when you have to cut logs to heat yourself. It is also useful if you occasionally need to cut down trees that interfere with your property or garden. 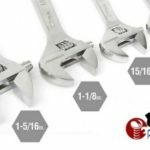 With this tool, you will not always call a professional to the rescue and spend money on such a simple task. Obviously, you need the right tool to get there. The chainsaw exists precisely for these needs. However, you need to pick the right model for your specific needs. It is vital to know how to sort through the thousands of models on the market today. Carefully scrutinize all the essential selection criteria to find the best tool for pruning, abatement or tree cutting. 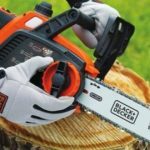 What We Recommend As The Best Chainsaw? Gasoline chainsaws require more time and dedication to perform maintenance; however, the cutting power that it possesses will make this work worthwhile. The gasoline chainsaws are suitable for cutting wood of all types and thickness. They are the most suitable for hard jobs and with strong materials since gasoline chainsaws have a lot of power and resistance. The Husqvarna 460 Rancher Gas Powered Chain Saw is undoubtedly the best in its class thanks to an impressive range of features. This robust unit offers high power for heavy-duty jobs. Its powerful X-Torq engine allows users to cut logs with ease and the unit’s design promotes easy handling. When looking for a top performer in the cordless electric chainsaw category, you can opt for the Ryobi RY40511 40V. This product delivers high torque, which allows you to handle any job without compromising portability and autonomy. The Makita UC4051A 16-inch Electric Chain Saw is a good buy for anyone looking for a unit engineered for fast cutting and superior performance. The start-up process is smooth thanks to the specially designed soft start mechanism. The market is overflowing with different types of chainsaws: electric chainsaws and gasoline cutters. Electric chainsaws are especially easier to maintain and less noisy. They also have the distinction of not emitting harmful exhaust. 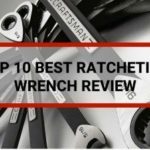 It is usually the recommended tool for cutting workpieces in a garage. However, its main disadvantage is the power cable. It is often the cause of many accidents and limits your field of action. Sometimes, it is difficult to pull the extension, which is limited to only 328 feet. Choosing the right body width is a key factor to consider. The machine you choose should not be wide 50 percent of the width of the widest workpiece or log you intend cutting. The carbide tooth chain is designed to prolong the working life of a saw chain in abrasive conditions. Dull blades can be dangerous and result in an inaccurate cut. You will need to sharpen your blades regularly and recognize when your chainsaw is blunt. Gasoline chainsaws can be difficult to handle because they have such a large number of moving parts. Some models have springs and rubber parts to reduce vibration. This way, you can use your chainsaw longer and get a more precise cut. An easy start system allows you to start the saw without a pull cord, even on cold days or after a long layoff. A gas chainsaw is a portable tool used to prune a tree. It is typically used to fell trees in the middle of the forest. A power outlet is not required to operate the engine of this chainsaw. It is powered by a gasoline. However, it is heavier compared to the electric chainsaw. This is clear because it usually carries two tanks to operate if it comes with a four-stroke engine. The first tank must be filled with oil to facilitate the rotation of the chain and the other tank contains the mixture of oil and gasoline, which runs the engine. Its engine runs at an intensity of 750 watts. This power is variable depending on the type of machine involved. With this, the chain cuts a wood with a length of 4.5 and 8 inches. A number of top brands offer this type of chainsaw. These include Husqvarna and Makita. This robust chainsaw provides adequate power for heavy-duty jobs. It comes with an impressive X-Torq engine and the unit’s body promotes easy handling. Some of the key features of this gas-powered model include a forged 3-piece crankshaft, which is designed to prolong the machine’s working life. It also boasts a 20-inch bar and delivers 3.62 horsepower. On the other hand, the chain tensioner is located on the side for easy access. The unit has a quick release air filter that makes it easier to clean and replace the filter. The Husqvarna 455 Rancher is a powerful chainsaw that boasts the X-Torq technology. The unit is known for its low vibration and reduced emissions. It is ideal for anyone looking for a durable saw capable of handling demanding jobs. 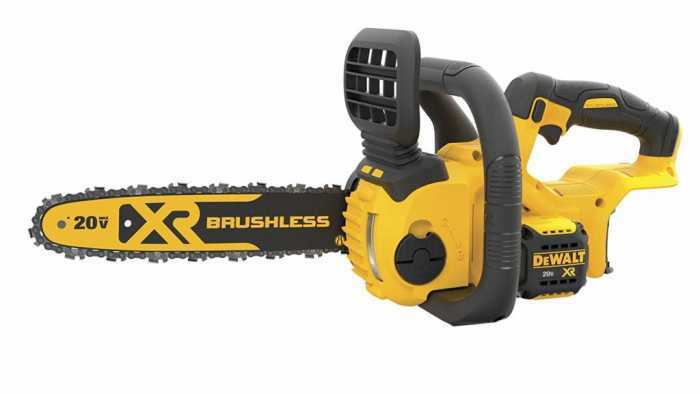 This 2-stroke gas-powered chainsaw is fitted with a centrifugal air cleaning system that eliminates both debris and dust particles efficiently. The system is aimed at preventing clogging of the air filter, which greatly reduces the need to clean the filter. The saw is well suited to homeowners planning to handle DIY cutting projects. It comes with an easy start system and has the capacity to minimize the risk of engine flooding. This unit is designed to help users with moderate cutting needs. It allows you to leverage the benefits of choke/stop control, which provides a practical way to reduce the risk of engine flooding. It achieves this objective by simplifying the engine starting process. Some of the Husqvarna 450’s key features include LowVib vibration dampening mechanism, centrifugal air cleaning system, 3.2 horsepower engine, X-Torq technology and Smart Start. The saw also features a specially optimized fuel pump that helps keep the lines clear and improve engine starting. This chainsaw is one of the most versatile options available to DIYers and professional users. It comes with 42cc gas-powered engine that delivers impressive torque to ensure good performance. The unit is fitted with a sprocket-tipped 16-inch bar and a specially designed low-kickback chain. The QuickStart technology makes it easier to start the machine and thus improve productivity at home or in the field. The Poulan Pro PP5020AV is known for its ability to reduce fatigue on the user’s hands thanks to the vibration dampening system. The product includes a carrying case for added convenience. Users can take advantage of integrated locking scrench holder and effortless starting system. In addition, this chainsaw is fitted with a super efficient air filter system and DuraLife engine that extends the machine’s working life. Cordless chainsaws operate with a lithium battery and some manufacturers also offer a backpack that the user carries in the back. The pack is connected to the machine by a wire. 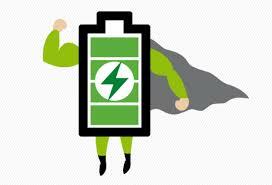 This type of battery improves portability and flexibility but also reduces user comfort due to weight issues. In addition, the price of this accessory is high. The cordless chainsaws are powered by batteries whose voltage varies between 18 and 40 volts. The cutting length starts at 10 inches and can reach 15 inches. Do not expect to cut large diameter trees with this type of machine. The noise level and vibration are relatively low, which makes them comfortable machines. Battery-powered chainsaws have several advantages. They provide high user comfort (lightness, sound and vibration levels) and portability. They are also less complex to maintain because of the electric motor. These machines emit no fumes, which is food for the environment and the user. However, the autonomy of these machines is limited. With conventional batteries and depending on use, the average running time is between 10 and 50 minutes. These machines are therefore suitable for short duration projects that do not require significant power. Unlike gas-powered models, there is a small number of brands that offer cordless chainsaws. The market leaders include Stihl and Husqvarna, which offer the most expensive tools that can be used in a professional setting. There are also some recognized brands in the chainsaw sector, such as Makita and Ryobi that offer powerful tools at more reasonable prices. 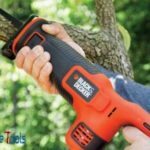 Black and Decker, as well as Bosch, are also taking advantage of their expertise in portable power tools to offer high-performance battery-powered chainsaws. Even if the choice is less extensive than for the gas and corded models, it is always interesting to compare existing models offered by each brand. This unit comes with a max lithium-ion battery that can boost running time and improve productivity. 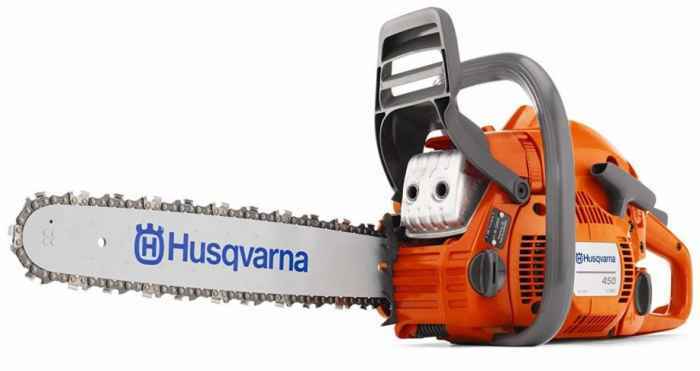 It can run fives times longer than other chainsaws in its class. Users can take advantage of the low-kickback bar and chain to ensure worry-free operation. This machine is also fitted with a tool-free blade tension system, which makes it easier to adjust components. This chainsaw provides more power, torque and a decent running time thanks to the Greenworks brushless motor. It offers a safe mechanism for stopping operation using the chain brake. This Makita saw provides a quality product for cutting applications. 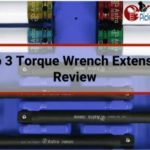 It comes with variable chain speed functionality, which is designed to improve cutting performance. It has built-in LED, lock-off lever and a brushless motor that ensure improved durability, efficiency and reliability. 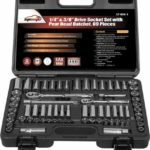 The tool-free component adjustment promotes convenience when it comes to operation and maintenance. This chainsaw is easy to use and reliable thanks to its lightweight construction. It is ideal for DIY users planning to cut trees or logs around the house. It comes with a bar tightening knob, a 12-inch Oregon bar and chain that ensure smooth operation. Its brushless motor improves the working life of the machine and maximizes run time. 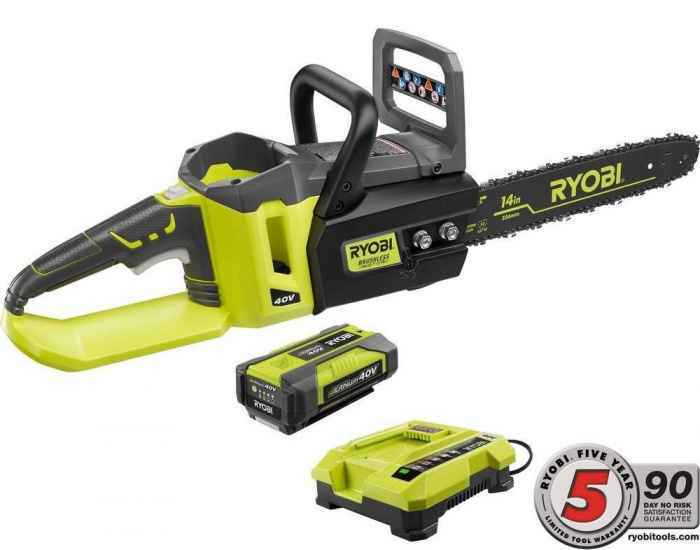 This Ryobi chainsaw stands out from other units in its class thanks to advanced features. It can deliver more power with its high-capacity lithium-ion battery that is rated at 40 volts. The Ryobi RY40511 benefits from the brushless motor to deliver impressive performance. Users can take advantage of the faster cutting capabilities and variable speed for superior control. The corded chainsaw does not generate noises like the gasoline variants. It is a light and silent machine. Likewise, this tool provides easy maneuverability and does not cause pollution. A mains power outlet that delivers 230 volts is required to run this machine. This means that it requires an extension for the power supply. So, it can not be used for logging in the forest. Its engine provides a rotational power of 1500 to 2000 watts. This ability allows the chain to turn sharply to cut a wood. A number of brands offer quality corded chainsaws from which to choose. 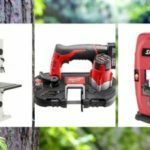 These include Black and Decker, Remington, Makita and Greenworks. This machine makes it easier to handle demanding cutting tasks at home or at the workplace. It comes with a robust 15 amp motor for optimal performance. The CS1518 Corded Chainsaw has an automatic oiling system and an Oregon blade. It also boasts an 18-inch premium bar and chain in addition to the tool-free chain tensioning. This unit comes with a number of user-friendly features. It eliminates the need for DIY and professional users to mix oil and gas. In addition, users will not experience considerable hand fatigue due to the compact and lightweight design. The wrap-around hand guard provides adequate protection from flying debris while the push oiler makes it easier to adjust oil. The product has an 8-inch electric motor, 14-inch low-kickback bar and chain. 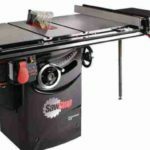 This unit is one of the best performers that comes with a 14.5 amp motor capable of fast cutting. Picking the ideal chainsaw just got easier thanks to Greenworks 20232, which comes with a tool-free chain tensioner and other user-friendly features. 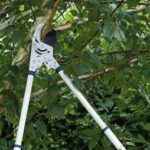 This product allows you to grip a tree with ease using the metal bucking spikes. It also incorporates the wrap-around handle, a 12 amp motor and a 16-inch bar. This unit is engineered for superior performance and fast cutting. You can count on the Makita UC4051A to handle demanding cutting jobs with ease. It has a trigger switch designed to ensure smooth start-ups due to the soft start mechanism. It also boasts a built-in current limiter for safety, a large oil reservoir, rubberized grip handles and an automatic chain oiler. How to maintain a chainsaw? How to mix regular oil with gas in a chainsaw? How to install a Primer Bulb in a Chain Saw? How the depth guide works? How to top gas leak on a chainsaw? Many chainsaws now have characteristics that reduce the rebound. These include additional safety rivets that reduce cutting areas and prevent the chainsaw from grasping at once. Additional safety features, such as throttle lock and chain brakes can prevent your chainsaw from operating when it is unsafe. They work by immediately stopping the blade when certain keys or handles are triggered. Although the key to safe chainsaws is to use them properly, these features make the tools safer and easier to use. 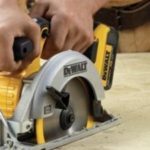 A circular handle is perfect for cutting horizontally; many saws have a circular handle around the entire motor for a better grip. The chainsaw loosens with use and should be tightened occasionally. A chain tensioner for tool-free adjustment allows you to do this without additional tools, to tighten the chain as needed without dragging out all the hardware. Most models today are equipped with a device that continually greases the cutting bars so that users can work without stopping to add oil. The best way to choose your chainsaw is to identify your needs first. Your choice should be matched to your frequency of use, the context as well as the type of results you want to achieve. This will define the criteria to take into account during your purchase. For pruning and small tree maintenance, it is advisable to use a pole pruner. 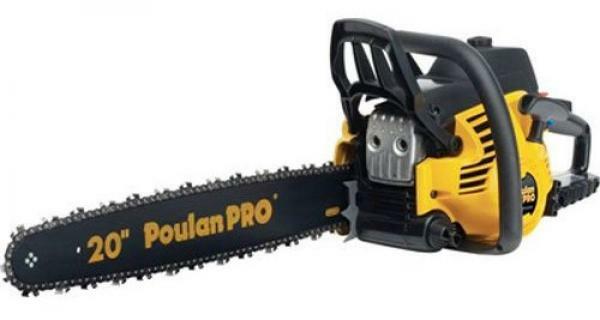 This is the best choice if you use your chainsaw very rarely during the year. On the other hand, if you plan a specific use, it is better to choose a model with a battery. In this way, you can easily reach the branches to cut from the ground. Choose a tool with a power between 600 and 800 watts. Note, however, that you will need to maintain at least the lubrication and tension of your chain. For pruning and regular maintenance of trees, opt for a thermal pruning pole. Its power rating ranges between 800 and 1500 watts. Moreover, this kind of model also has an optimal handlebar. This will be very handy for your pruning work. Alternatively, you can also opt for a telescopic pole if you want a more optimized use. Before acquiring a chainsaw, it is necessary that you know the types of saws available on the market, key features and the recommended uses. This allows you to choose the chainsaw that best suits your needs. Corded chainsaws are very easy to use, their maintenance is simple and can support up to 2200 watts. The cutting power of these units makes them the most suitable for softwoods. The only drawback is that you need to have a plug nearby to be able to work with it. Corded units require simple maintenance: just fill the grease oil tank of the chain, sharpen the chain, maintain it with the proper tension level. Also, clean the machine well after each use. They present fewer breakdowns than gasoline machines and their repair is usually cheaper. These units come with powerful engines although generally less than a gasoline model. They are suitable for most types of wood and are easy to start and operate. Some of the additional benefits include a lightweight design, low noise and vibrations than gasoline chainsaws. 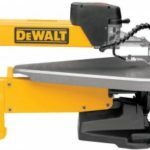 They must incorporate an extension to replace the lack of autonomy that involves having to be connected to the current, although there are cordless saws that do not require a power cable. Cordless models have a lithium battery of up to 36 volts. If you are going to use it for several hours, it is recommended that you have a spare battery. This type of chainsaw gives you freedom of movement. The maintenance of battery saws is simple. They are ideal for pruning softwoods. 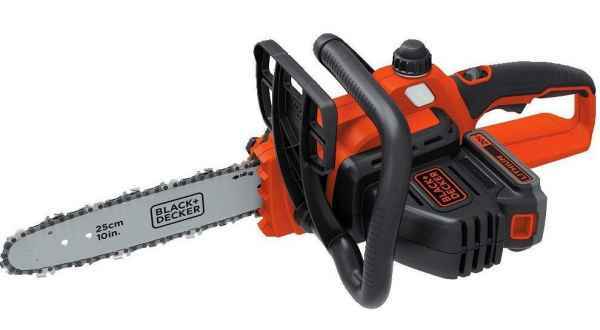 This type of chainsaws comes equipped with a battery of 18 to 36 volts. They need the same maintenance as the corded units. They are simple to operate and have the advantage that they allow total autonomy as they do not need to be connected to the electric current. The biggest drawback is the duration of the battery, so it is advisable to always be equipped with two batteries. They are also heavier than wired ones. Gasoline chainsaws have powerful engines that have more cutting power than an electric or a battery. However, they require a higher maintenance than others: cleaning, oil mixture. filter cleaning and more. Heavyweight, level of noise and vibration are some of the downsides of this variant when compared to electric chainsaws. For the start-up, they need gasoline mixed with oil for a two-stroke engine as fuel. 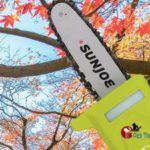 Because of their power and autonomy, they can cut thick and hardwoods and carry out cutting or pruning work where there is no electric current. To cut a hedge with branches of a small section (less than three cm in diameter), a hedge trimmer or pruner is sufficient. They cut small branches of antlers and leaves. However, to cut or prune large branches, the chainsaw is essential. It allows you to work with more precision than other tools without tiring you because you provide less physical effort. The chainsaw is the perfect tool for cutting wood or pruning trees. However, this machine must be handled carefully to avoid accidents. The use of the chainsaw is governed by regulations issued by the municipality. Before using your chainsaw, it is essential to make a good inspection. Firstly, the air filter must be well checked by lifting the hood of the machine. If it is too dirty, you will have to clean it. The level of cleanliness of this filter is essential, it is very important to check it before any use. Then check the oil level. To do this, you will start the chainsaw. Normally, it should spread a few drops of oil on the axis of its blade, otherwise, you will need to add some oil. This is done by following the instructions in the user manual. Also, remember to check the tension of the chain before starting the machine. Set the control to start mode. Press the priming pump two or three times to raise the fuel in the tank. If the engine is cold, open the choke. Grasp the carrying handle with your left hand and the starter handle with your right hand. Check that the ergonomics of the chainsaw are adapted to your body type and that you support its weight in order to always keep control. Opt for a stable position, on both feet and avoid losing balance. Always hold the chainsaw with both hands below shoulder level. The left hand should be on the front handle, behind the roll bar. The right hand is on the back handle. For more comfort, keep your wrists straight. Cut at full power by approaching the wood with the middle of the chain. Never use the end of the chain as this may cause a rebound effect: the machine is violently pushed backward. The chainsaws are exclusively intended for right-handed people. There is no left-handed chainsaw. If you are left-handed, use this type of machine as a right-handed one. Otherwise, the security features will no longer protect you. Using a chainsaw to do one’s own pruning or cutting can save a lot of money. 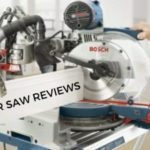 But while the current chainsaws are particularly manageable, efficient and more secure, their use remains a delicate operation that does not forgive the slightest mistake. Safety must be your priority when using a chainsaw. As far as your safety is concerned, it must be provided by individual protection equipment. They consist of a helmet, glasses, gloves, reinforced shoes and a visor made of wire mesh. These are designed to prevent bits of wood injuring you during cutting. By handling a chainsaw, you also risk cutting yourself, so there are leggings or pants and gloves that can withstand cuts, so you will need to get some. They are made from crossed fibers which have the particularity to block the rotation of the chain in case it comes in contact with them. Safety shoes are part of PPE. To prevent the risk of crushing, their ends must be reinforced. In addition, their soles must be sculpted to avoid slippage in the mud with your chainsaw is still running. Finally, as you know, a chainsaw makes a lot of noise, which is why you need to protect your ears with a noise-canceling headset. If you start your chainsaw for the first time, you will need to remember the following rules and actions. Before starting the machine, you must engage the chain brake by pushing it forward. The chain should never come into contact with the ground or your body the machine is working. To handle the unit properly, you will need to hold it with both hands and you will firmly support your right foot on the back handle of the chainsaw. After removing the protective covers, you can start the machine with the starter. The chain brake can then be released when you start cutting. To get there, you will pull the handle of this chain with your left hand. Make sure that the chainsaw is always at a lower level than your shoulders, if you handle the chainsaw above this level you will lose accuracy and there could be an unfortunate accident. It is needless to say that cutting while indoors is risky and not recommended. If necessary, the room should be ventilated to the maximum before and during cutting. When you cut, you must use the middle of the chain and not its ends, otherwise, you may see your gear pushed back and then lose control. If you start with a chainsaw, choose a start on a stable and clear ground, without the chain touching the ground. It is also very important not to smoke and not to approach a flammable area or object during cutting. Starting a thermal chainsaw is more difficult than starting an electric chainsaw because you have to start the motor movement manually with the launch handle. The electric ones have an easy start mode. The use of a chainsaw is dangerous for the user and for people in the vicinity. To avoid any accident, please respect the following safety tips. Work in an open area, at least 17 yards away from any person not equipped with protection and far from any inflammable source. Place the right foot firmly on the rear handles and grasps the machine with both hands. Never start if the chain is engaged in a cut. Inspect the pinion, checking for breaks or movements that may affect the operation of the chain. Remove the clutch bell and clean generously with a dry cloth. Grease the bearing every so often. Detach all removable parts from the chainsaw and clean each one well. Remove dust or wood debris. With time, usage can cause wear on the teeth of the chain. So they should be sharpened periodically. This task is performed with a special file and the bar with chain installed on the chainsaw. This process allows better work without putting much strain on the machine. Lower the chain, clean the rail of the guide where the oil circulates. A file removes all the edges that can be formed. Inspect the groove depth by checking that the chainrings do not touch the base of the track. Lubricate the end bearing of the bar, using oil in the holes and proceed to reassemble the chain. Before handling the chain, always wear cut-resistant gloves. Some brands have created tungsten carbide steel teeth to limit wear and sharpening sessions. To disassemble the chainsaw chain, first make sure that the machine cannot start by removing the spark plug wire, battery or mains supply (electric motor). 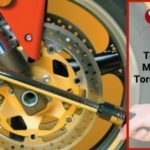 Proceed to remove the chain brake and loosen the crankcase nuts slightly, Relax the chain with the chain tensioner and remove the chain guard. Also, remove the chain starting with the drive sprocket and reassembly is reversed by first placing the chain in the guide bar and then around the drive sprocket. The best indication of the need for sharpening is an obvious reduction in cutting speed and excessive chip production during cutting. If you notice these symptoms, stop using the chainsaw and replace the chain or sharpen it with the proper chainsaw sharpening kit. If you do not know how to sharpen a chainsaw, several DIY and gardening stores can do it for you. Chainsaws are excellent tools for maintaining your yard and cutting wood for fires or carpentry projects. Whichever chainsaw you choose, make sure you also buy the right safety equipment, including gloves and safety glasses. Keep your chainsaw in good condition with daily maintenance. Every time you use it, it is recommended that you clean the chain and add oil. Clean the groove after use, eliminate burrs with a small flat file, clean the grease ports and adjust the guide regularly because the upper part wears faster than the rest. 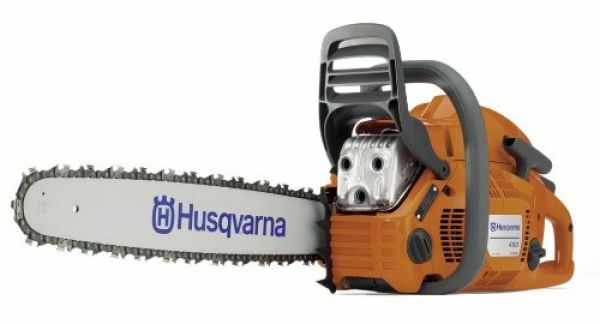 If it is necessary to change the blade of your chainsaw use a replacement of the same size and characteristics, otherwise the chainsaw will not perform in the same way. If the chain is too relaxed, it can derail. Regularly check its tension by adjusting when the chain is hot as it relaxes. Also, check the greasing and sharpening. Check the tension of the chain before each use and adjust it if necessary, an excessively loose chain runs the risk of getting out of the guide. If it is excessively tight, it will suffer greater wear. Ensure that the oil tank and the chain have enough oil and verify that the chain is properly greased. Inspect the chain’s edge and sharpen it with a special file for chainsaws if it has lost an edge. Check that the safety elements and especially the chain brake work correctly. Turn the blade periodically (approximately every 15 hours of use) to ensure homogenous wear on both sides. Once used, clean it to remove any remaining sawdust or any dirt. Although a chainsaw works like other engines in that it needs fuel, starting is not as easy as pouring into the gas and pulling the cord. The fuel for chainsaws is a combination of oil and gas and it is important to get the correct oil-to-gas ratio to avoid damaging the chainsaw engine. Remove any old oil or gas in your fuel tank. It is important to have an exact combination recommended. Guessing the amount of oil and gas that is already in the tank could lead to an incorrect mix. Pour the recommended amount of two-stroke oil into the tank according to the instructions for the chainsaw. A common oil-gas ratio is 50 to 1, but this may vary depending on the brand of the chainsaw. A ratio of 50: 1 translates to 2.5 oz of oil for every gallon of gas. Pour the correct amount of gas into the tank. Shake it can mix the oil and gas well. Shake the tank each time before filling the chainsaw to ensure that you have the right combination. Primer bulbs are used in chainsaws to pump fuel from the fuel tank into the lower carburetor and into the engine. They also remove excess air from the fuel line by drawing gas into the line. This helps start the circuit allowing your saw to operate. Installing a new bulb on most chainsaws is easy and only takes a few minutes. Turn off the saw; if it is electric, unplug it. Use the screwdriver to remove the starter housing. The starter housing is located on the same side as the pull cord. There are usually two to three screws along the outer edge of the starter housing that hold the cover in place on the engine. Remove the starter housing cover. Keep the starter housing screws and cover in a safe place where you will not lose the screws. Locate the primer bulb. On most saws, it is located in the upper right corner of the starter housing. Use the Allen wrench to remove the screws from the primary bulb. Put the screws in the same safe place as the other screws. Remove the primer bulb. It is attached to the fuel line, so do not pull or pull the line too hard or you will have to replace it too. Separate the connected fuel lines from the primer bulb. Pinch the line with your fingers and remove it from the primer bulb. Attach the new starter bulb the same way you removed the old one. Make sure the fuel lines are securely fastened to the primer bulb. Screw the pear screws into place with the Allen key. Set the starter back tank in place on the bulb and screw it into place with the screwdriver. You may need to use pliers to pull the primer bulb out of the fuel line. Be careful not to damage the fuel line by pulling off the primer bulb. Always be careful when working around fuel. When the depth guide is too low there is the danger of rebound. Lower to 25 thousandths of an inch maximum and round off the angle to maintain the original shape of the depth guide. By following these tips, you will have a sharpened chain, a more efficient chainsaw and as a result, require less effort while working and a better view of the gouge of your chain. Maintaining good chain tension will prolong the life of your guide bar and sprocket as they work as a team. It is highly recommended to learn how to mount chains yourself on the saw. The chain must always be very sharp so that it can be sawed efficiently, safely and accurately. The frequency of sharpening a chain depends on the frequency of use of the chainsaw. The appearance of the chips is a good indication of the condition of the chain. A sharp chain produces beautiful, regular wood chips, while a dull chain produces only sawdust. A sharp chain is just as good as a powerful engine. A leak can start in one of several places in a fuel system. From the tank to the return pulse line, the entire system should be checked to determine the source of any leaks and possible leaks. While most of these gas leak repairs can be done with a few simple tools, if you do not feel qualified to perform them, then you should take the saw to a qualified professional. Screw the gas plug tight and hold the engine upside down to see if any fuel leaks from the tank area. Unscrew the gas cap and check the rubber gasket on the inner ring of the gas cap. Inspect the gas tank for any deformation, cracks or holes. If holes or leaks are present, you must replace your fuel tank. Pour all remaining fuel into an approved fuel tank. Start the chainsaw and run it until it stops, to purge the remaining fuel in the system. Unscrew four screws securing the cylinder cover. The cylinder cover is located between the starter cover and the clutch cover. Take the cover and the screws out of the motor. reach into the tank and remove the fuel filter and fuel line. Remove the fuel line and fuel filter from the engine and discard them. Unscrew the screw holding the air filter mounting plate in the housing. Unscrew the two screws holding the choke plate and the carburetor on the intake manifold. Remove the air filter mounting plate and carburetor with the throttle linkage connected from the crankcase. Unscrew two intake manifold mounting screws and remove it from the crankcase. Remove the gasket and gasket below the intake manifold. Inspect these parts for any damage. worn joints or seals may leak gas. Replace these parts if necessary. Hook the nozzle gauge to the carburetor fuel inlet valve. Immerse the carburetor in the fuel bowl. Pump the pressure gauge up to 7.1 MPa. There should be no air leaks and the carburetor must be able to maintain the positive pressure. Unscrew the diaphragm dosing cover on the carburetor if leaks are present. Remove the dosing diaphragm and its carburetor seal. Check the diaphragm to deform or crack. Unscrew the lever shaft and remove the lever, needle valve and the carburetor spring. Inspect these parts for damage; make sure the needle valve can be securely in place on the lever. Replace these parts if worn or misshapen. Unscrew the screw on the fuel pump cover and remove the cover. Pull on the fuel pump diaphragm and its carburetor gasket. Inspect these parts for damage or deformation. Replace if necessary. Remove the screen inside the fuel inlet passage. Remove the low and high speed mixing screws from the carburetor. Replace the screws of the screen and mix. Soak all disassembled carburetor parts in a clean carb bath. Reassemble the carburetor using a carb kit. Replace all Welch seals, gaskets, covers, screens, filters and plugs. Repeat the carburetor pressure test. If the carburetor will still not maintain positive pressure, you will need to replace the carburetor. Reinstall the carburetor fuel line and replacement and fuel filter. Reassemble parts in reverse order. If fuel leaks are still present, you must check the crankshaft, crankshaft and crankcase seals for damage. These repairs should only be performed by qualified professionals. When disassembling, cleaning and rebuilding the carburetor extreme care is necessary to ensure permanent damage is not done to small parts of the carburetor. The fuel line on a chainsaw supplies fuel to the tank in the engine. The fuel line is connected to the fuel filter inside the gas tank and passes from the tank to the throttle and generally into the carburetor. The fuel line can get dirty debris in the gas tank or crack in places if it has dried. Pulling on the fuel line and putting on a new one is inexpensive and only takes a few minutes. Start the chainsaw and turn until the engine turns off to clear any remaining fuel in the fuel line. Disconnect the carburetor line, which will be located at the back of the saw, near the fuel throttle. On some models, you may have to remove the air filter, but you should not have to disassemble the throttle. Use the pliers to pull the fuel filter from the gas tank. The fuel line is connected to the fuel filter. Shoot the full length of the old fuel line as well. Discard the old fuel pipe. Cut about 10 inches from the fuel line and cut one end at an angle. Slide the metal hook into the new fuel line. Push the metal hook and the fuel line through the bottom hole in the fuel tank. Thread the fuel line all the way through until it comes out again near the carburetor. Wait to reattach the line to the carburetor. Cut an excess fuel line. The fuel line should hang freely inside the fuel tank. Return the fuel filter to the fuel line. Pull the rear end of the fuel line out of the metal hole and reattach to the carburetor. Threading the new fuel line into the hole can take several attempts before being pushed all the way through. Use enough thick wire to block the line until it pushes all the way through. Always be careful when working around gasoline and other flammable materials. In order to ensure efficient and safe felling, it is essential to properly maintain your chainsaw. First, check the different parts, clean them and replace them if necessary. Then it is important to sharpen the chain according to a specific technique. Check the different parts, including the air filter, fuel filter and return the chain guide to distribute the wear. Ensure that the guide bar and the chain are supplied with oil. File the burrs on the sides of the guide bar. Use super unleaded gasoline with 50 to 1 mix oil. The drive gear must be compatible with the chain used. The dealer can easily provide you with the necessary parts. Wear marks should be no more than 0.5 millimeters (0.02 inches) deep. Never install a new chain on an excessively worn pinion. Normally, a drive gear should last the time of two chains. A drive sprocket should usually be replaced at every two chains, a guide bar at both drive sprockets or at all four chains. Good tension in the chain is very important, especially when the saw is bent during felling. An extended chain (and crown gear if used) will slide and be misaligned with the groove in the guide bar. A relaxed chain is the main cause of gear problems. All of the above steps are very important to the life of your chainsaw as well as your guide bars, sprocket and chain. Remember that there are chainsaws for each job, pruning, felling trees, forestry or logging projects. Buy the one that suits your activity. The design is important. Make sure it is ergonomic. The current models meet some standards in terms of minimum vibration levels, balanced weight and non-slip grip. Maintenance must be simple. Ideally, you should have easy access to the spark plugs, chain tension and other removable parts for proper maintenance. The guide bar looks like an elongated racket and is part of the cutting components. It is located at the end of the chainsaw. The chain is the cutting part of the chainsaw. It follows a looping movement as on a bicycle chain. The chainsaw chain is composed of three types of rivets: coaches with depth limiter, cutting gouges or teeth, and connecting pieces. The set is secured by rivets. The length of the rivets determines the pitch of the chain. The length of the chainsaw is defined by the size of the guide. Anti-rebound system: An angle of attack from the front of the guide can cause a recoil effect when the limiters hit the wood before the gouges break it. To mitigate this effect, there are anti-rebound rivets. Chain brake: located on the front handle, this safety device immediately stops the chain in case of rebound. The micro-lite chain has a narrow cutting line to reduce the power of the chainsaw for uniform cutting quality, it can also use the power of the chainsaw to increase speed and cutting performance. Some units have a light chain with reduced rebound and long life, for professional use in the field of pruning and landscaping. A reduced rebound chain has a low vibration for fast cutting and easy sharpening. It is designed for professional use in the field of pruning and felling of trees but also for landscape maintenance and construction applications. Thanks to its rounded gouges, it can be sharpened quickly without reducing its performance, which is also very effective in dusty and dirty environments. The full chisel chain provides high-performance for fast cutting, slower wear, reduced vibration and bounce for professional use, including logging. A multi-cut chain is a professional chain with a chrome coating allowing it to be used intensively under extreme abrasive and dirt conditions. A low profile chain is designed for light chainsaws and it is ideal for tree pruning. 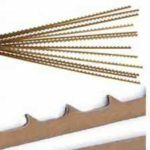 The micro bit chain has long-lasting round gouges with rounded angles and it is recommended for use on hardwood. High-end chains reduce rebound thanks to its rounded depth limiters, for professional use with high-performance chainsaws. Other variants are designed for standard use or high cuts, ideal for occasional do-it-yourselfers. The chains are used with an electric or petrol chainsaw up to 35cc maximum. the rivets must be able to enter the groove of the guide for the chainsaw to work properly. To measure the gauge, it is necessary to equip yourself with calipers in order to obtain a precise measurement. Electrical chainsaws are connected to a power outlet. They have a power rating that ranges between 1600 and 2200 watts. These units are mostly used by DIYers. In addition, they are cheaper than cordless or gasoline units and less noisy. The units are ideal for maintenance of yards or home gardens. The disadvantage of electric chainsaws lies in the cable, which reduces freedom of movement. You must do periodic maintenance that involves lubricating and sharpening the chain to extend its cutting capacity. Its cutting blade is suitable for thin and soft woods. Gasoline chainsaws, on the other hand, are more powerful with capacity for intensive or professional work. A wide variety of models with different functions are available for each type of cutting job. In general, they have two-stroke engines, with power ranging from two to eight horsepower. Obviously, the fuel and lubricant requirement increases with larger machines. Modern models come with electronic ignition systems and automatic braking, in case of recoil, falls and bumps. 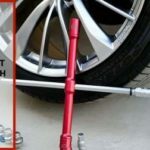 In addition, they come with a vibration dampening system that significantly reduces the vibrations caused by the engine making the work more comfortable. Likewise, they have a continuous lubrication system that keeps the chain in perfect condition. The battery-powered units are easy to use and very comfortable. They have a power rating of between 20 and 40 volts. 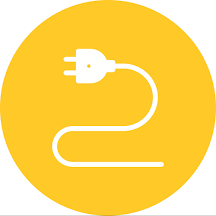 They do not need to be connected to a source of power, thus granting users more freedom in large spaces. Some of the top chainsaw brands available on the market include Stihl, Makita and Husqvarna. Stihl is one of the manufacturers with the highest sales worldwide. Every day they offer users experience and innovation with sophisticated technology for optimal performance. They have machinery for the care of gardens, landscaping, forestry, pruning and other artifacts that make up the woodwork. Husqvarna combines state-of-the-art technology and environmental care in each appliance. 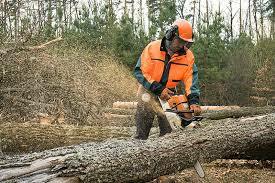 They have chainsaws of various types adapted to the needs and budget of each user. The sell guaranteed products, which are ideal for any forestry project with the maximum confidence and efficiency that characterizes them. 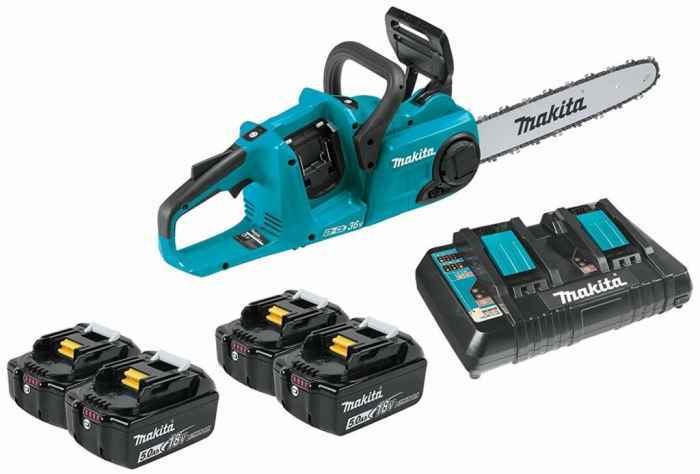 Makita offers varied models that adapt to different functions with different powers. In addition, it complements its line with accessories and spare parts for every need. Provides security, comfort and comfort in each tool. Ryobi is another leading brand that is widely used around the world. They make products with excellent quality and durability at excellent prices. The products are easy to use and maintain, with very reliable safety systems. Your chainsaw chain is worn or broken, and you need to replace it to do your pruning work? It can sometimes be difficult to navigate the jungle of models that exist. To properly choose your chainsaw chain, you need to follow specific guidelines. The gouge is the cutting edge of your chainsaw. It is composed of two parts: the depth limiter and the cutting edge. Several profiles exist: round, semi-round, square, semi-square. The square gouge profiles are very effective for cutting hardwood. Semi-round profiles are suitable for both hardwood and softwood. Finally, round profiles are particularly suitable for softwood. There are a lot of gouges, with different shapes, with safety rivets or depth limiter. First, you must take into account chain tensioning without the use of tools. This feature provides convenience when it comes to chain adjustments. The chain must be lubricated with a mixture of oil and grease. This maintenance improves its operation and prolongs its life while reducing heating. To ensure an efficient cut, the chain of the chainsaw must be properly tensioned to move in its guide without derailing – but not too much, to avoid premature wear. The check is made with gloves, gently pulling a link upwards. It must be able to deviate slightly from the guide, without leaving the rail. There are two ways to change the chain tension, depending on the model of the chainsaw. The conventional adjustment system with the tool, consists of loosening the two nuts securing the chain guide plate to act on a tension adjusting screw. More expensive to manufacture, but more comfortable for the user involves the use of the tool-less adjustment system. A simple wheel to maneuver is then sufficient to tighten the chain. Loosening of the lid is also done without the aid of tools. Units that provide easy access to the air filter make it easier to keep the machine running smoothly. Clean the air filter using compressed air or scrubbing a brush gently to remove dust and harmful particles. If you notice deterioration, replace it. Long-life air filtration systems are designed to prolong the working life of a filter in comparison to conventional filter systems. 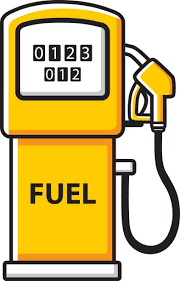 The presence of a fuel gauge allows you to keep an eye on fuel levels in the tank to avoid unwanted surprises. A chainsaw with oil and fuel caps that are hard to remove is not a good option because it complicates a simple process. Bar length provides a practical way to determine a saw’s size and the types of projects it can handle. The length of the chain depends on the size of the guide bar. There are chain guides from 4 inches up to over 11 inches. A chainsaw that is used regularly should be designed for heavy-duty purposes otherwise it will break down quickly. Cordless units are not ideal for heavy use. The cutting system of any chainsaw consists of a chain driven in rotation by the pinion. By penetrating the wood, the teeth placed on the chain cut one after the other chips removed by rotation. Each chainsaw requires a specific chain. To avoid accidents using a chainsaw, use the correct techniques, this will make your work safe and simple. 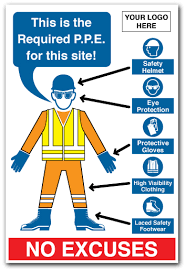 Wear certified protective equipment, including safety pants and boots, helmet, visual and hearing protection, gloves. If you are starting, use simple tools such as electric tools to gain skills. Take your chainsaw to a qualified professional every so often. The market is filled with a large number of models, which retail at attractive prices. Chainsaws are high-speed wood cutting tools that can help you do short work when faced with big jobs like scrub clearing, deadfall cleaning, felling unwanted trees and creating a pile of wood. heating for the winter. Cutting branches from trees that have been cut or fallen naturally is a process called limbing. Respect the conditions surrounding the tree that you intend to cut. Clear the work area around the tree to ensure safety while cutting. Put on all appropriate safety equipment, including ear protection, safety shoes, gloves, safety glasses and hard hat. Move to the base of the felled tree. Stand on the opposite side of the branch you are about to cut, keeping the tree between you and the cutter chain. Start the chainsaw. Stop the chainsaw frequently to remove accumulated branches and debris that may be threatening a secure foot. 1. Are there any electric chainsaws designed for heavy-duty tasks? Yes. To handle heavy-duty cutting jobs, go for gasoline chainsaws. Electric units can work well with low to medium-duty tasks. 2. How frequently should I sharpen blade teeth? A reduction in cutting speed and excessive chip production during cutting is a clear sign that your machine needs sharpening. A chainsaw chain for cutting should not be neglected, it must be regularly maintained so that it does not wear too quickly and you do not have a problem with it. To do this, service it with a lubricant specifically designed for chainsaw chains. Also, remember to sharpen your chain regularly: this will make it easier to cut and will slow down the wear of your chain but also of your chainsaw. Do it with a sharp sharpening file on the teeth of your chain. Use a file holder to properly file your chainsaw without damaging it. Be sure to respect the relationship between the pitch of your chain and the diameter of your round file. 3.What is the meaning of a pitch? Chain pitch refers to the size of your machine’s chain and it represents the distance between any three rivets divided by two. 4. Why do manufacturers recommend specific chain oil for a specific chainsaw? This is aimed at minimizing wear on the chain and bar since the right oil can stick to the components optimally. 5.Why chainsaw fuel is usually mixed before use? Mixing gasoline and oil ensures the smooth running and durability of the engine. Unsuitable fuels or mix ratios can damage the engine.